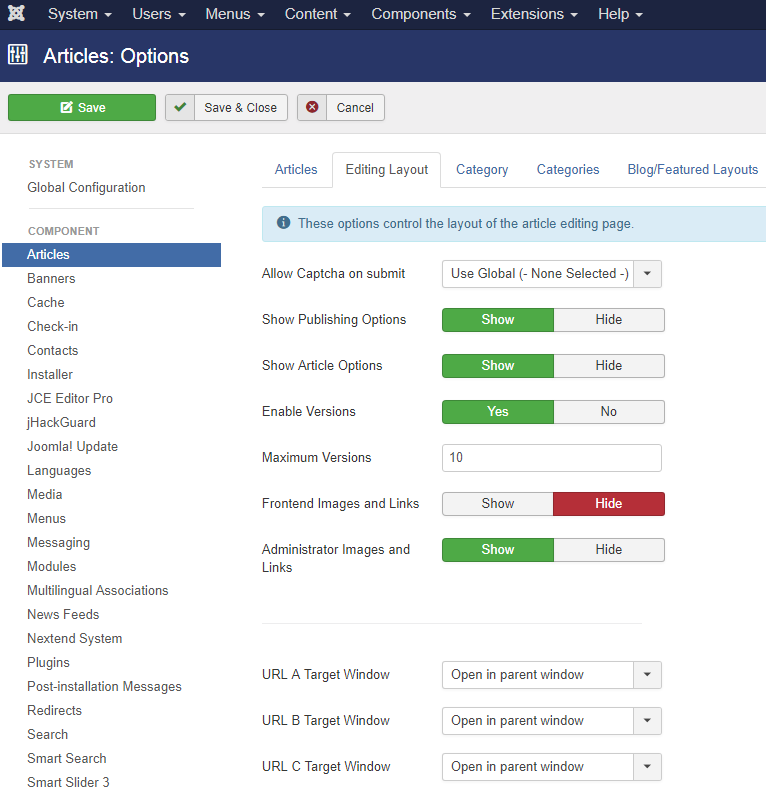 How do I preview an article in Joomla editor? How do I preview an article? In Wordpress, there is a Preview button which pops up a window with how the page looks. In the Joomla editor page, I see this, with no links to a preview. 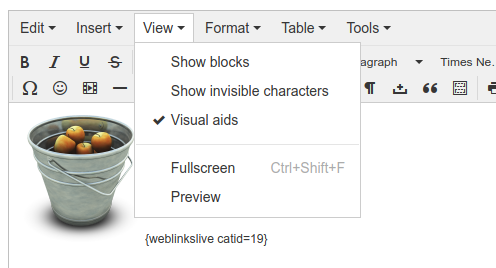 After you have made changes to your content (if required) click the Preview toolbar button. But I don't see a Preview button. I looked in the configuration for a setting, but I didn't see any settings for a Preview button either. I installed Better Preview extension, but the editor page became broken. When I click on the Preview button, that is also broken. So how do I preview an article in Joomla? It doesn't seem like it should be this hard. Previewing an article is a functionality that was lost almost 7 years ago (beginning of 2011) when Joomla 1.6 was released (Joomla 1.5 supported previewing). So, now you have to resort to a plugin to preview articles, which may or may not cause conflicts with your template or with your whole website (in your case it is causing a conflict), not to mention, of course, that Better Preview has to load a standalone library in order for it to work (adding some overhead to your site). I do remember experiencing a mysterious bug caused by Better Preview on one of our client's sites, and we communicated this bug to the developer via Twitter; his reply, to say the least, wasn't really nice. The ideal solution, in my opinion, if you really need a preview functionality, is to add a special group/view level in your ACL called "Preview", and then assign your Joomla username to this group, and finally assign each article you want to preview to this view level first before assigning it to everyone. This is the lightest and most stable solution, and you don't need to install any plugin that may or may not break your site. Did you try the "Preview" option in the "View" menu? Check in the Global Cpnfiguration - Site Tab - Default Editor, choose one from the list. TinyMCE is the default distrbuted with Joomla! Not the answer you're looking for? Browse other questions tagged administrator editor or ask your own question. 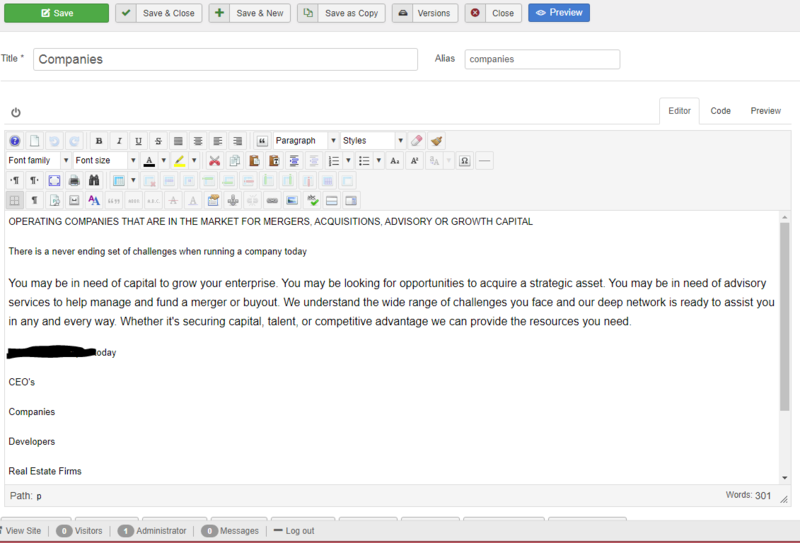 how to show article preview in admin panel? How to retrieve the CHANGED text from Joomla Editor? How to write php code inside the article in Joomla? What are the JS dependencies of the Joomla frontend editor? How do I create an Editor Add-In? Shortcut to insert non breaking space in TinyMCE? How to make my Editor plugin (type: editors-xtd) survive after updates?